Continuing from critically-acclaimed 1st Volume published by Fantagrphics Books. 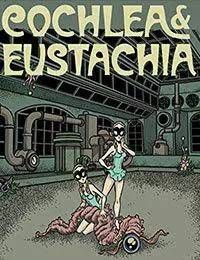 Cochlea &amp; Eustachia meet up with their ally, Fronky in this new adventure. This issue collects the first 32 pages of the story thus far. The next issue will be up very soon!